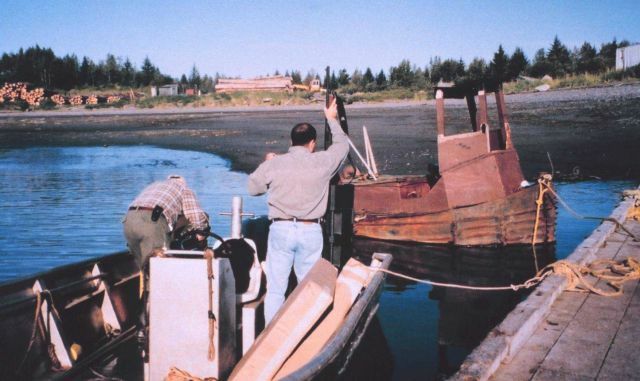 Loading equipment in skiff to transport radar reflectors, GPS antennas, etc. to remote sites around Icy Bay. Shot gun was for protection from potentially hostile bears.